Side by Side: Out of a South Korean Orphanage and Into the World weaves the stories of nine inter-country adoptees, as they recall their families of origin, their relinquishment to orphanages, and their adoptions and lives abroad. Starkly minimalist, Side by Side is composed entirely of intensely intimate, first-person narratives, filmed in Seattle, Chicago, Boston, New York City, Paris, Stockholm, Amsterdam, and Melbourne—the stories of a baby being violently thrown from a car at the orphanage front door, relinquishment to a total stranger in a train station, life as "a Martian" and the complexities of being gay and a Korean-American adoptee, reuniting with birth parents and trying to make sense of relationships with mothers and fathers they’ve never known. GLENN and JULIE MOREY are a husband/wife filmmaking team. Glenn (AKA Kim Kang) was born in Seoul, South Korea, in 1960. He was abandoned days after birth, taken to Seoul City Hall, then to a Holt orphanage, and adopted at the age of six months to the US. They both have long careers as award-winning commercial and documentary filmmakers. They live in Denver as empty-nesters, but with adopted cats. Max brings his new girlfriend to his beach house for a fun weekend together along with his closest friends. Both Korean adoptees with white parents, Max and Jamie discover they have much more in common while bonding over similar experiences as Asian American kids who grew up white. Like thousands of Korean orphans since the 1950s, Kayla Tange was adopted by an American family and brought to the United States as an infant in 1983. She now lives in Los Angeles, where she works as an exotic dancer and a performance artist. In 2011, Kayla made arrangements through a social worker to meet her birthmother. 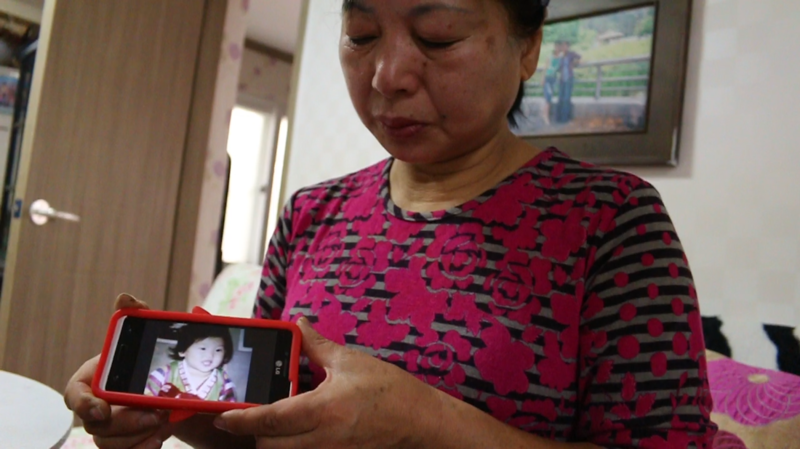 After traveling to Korea, she was devastated to learn that her birthmother had changed her mind and refused to meet with her. Kayla returned to the US with even more questions and an even heavier heart than before. Kayla hopes this visual letter filmed over the course of a year will help bring her some sort of peace if not the chance to finally meet the mother she’s never known. A LETTER FOR SANG-AH is a story about two single mothers in Korea who took vastly different paths, and their fight for justice and acceptance within Korean society. Mina Fitzpatrick is a director and editor of independent nonfiction film and media with a background in global health. After completing her BA at Rice University she was awarded the Fulbright Fellowship in South Korea. In 2013 she raised funds for this film through kickstarter, and was subsequently awarded Kartemquin’s Diverse Voices in Documentary Fellowship. She has also worked as an assistant editor for Steve James’ 2016 film Abacus, and with the Kindling Group and Siskel Jacobs on No Small Matter. She is currently pursuing a Master’s in Documentary Media at Northwestern University. Her short film Run of Press has screened across the country through the Chicagoland Shorts program, and was a finalist for the 2016 ASC Haskell Wexler Student Documentary Award.